A trip to a dog water park.. 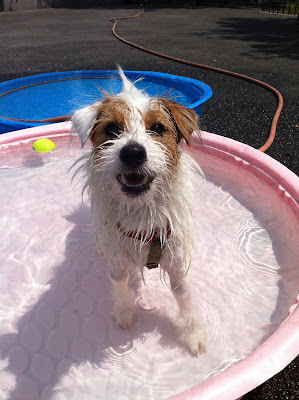 The heat advisory is out again, but me no fear..
thanks to the awesome hudson river dog park's little doggy pools! Nothing beats getting my little paws wet wet wet. I'm a wet happy dog!